The construction industry is by far one of the largest commercial industries in the United States and consistently ranks as one of the worst when it comes to annual workplace accidents and fatalities. Whether commercial, residential, or highway construction, there are an infinite number of ways that workers can injure themselves every day. Construction accidents can include falls from high levels, operational equipment failure, electric shock, scaffolding/ladder collapse, motor vehicle accidents, fires or explosions, and careless placement of equipment or other debris, among other things. It is up to the construction company to make sure the site is properly and thoroughly inspected and is a safe working environment for all those employed there. If you have been injured as the result of an unfortunate construction site accident, whether it be accidental or not, you may be entitled to monetary compensation from your employer or other party at fault for your medical bills and other financial losses. At the Raleigh personal injury law offices of Brent Adams & Associates, our one and only priority is to fight for you. Our North Carolina construction accident lawyers will stop at nothing to ensure that you are treated fairly, and get the monetary compensation that you deserve. Although personal injury and individual fatality rates in most commercial industries have declined significantly in the past 23 years since the Occupational Safety and Health Administration (OSHA) was established and enacted a much stricter set of workplace safety guidelines and regulations, this simply has not been the case in the construction industry. Construction site workers are at a much greater risk of personal injury due to the immense number of hazards and potential accidents that could potentially happen any day at a large site with a substantial amount of equipment and other workers all moving in different directions. The construction industry has more workplace fatalities per year that any other related commercial industry. 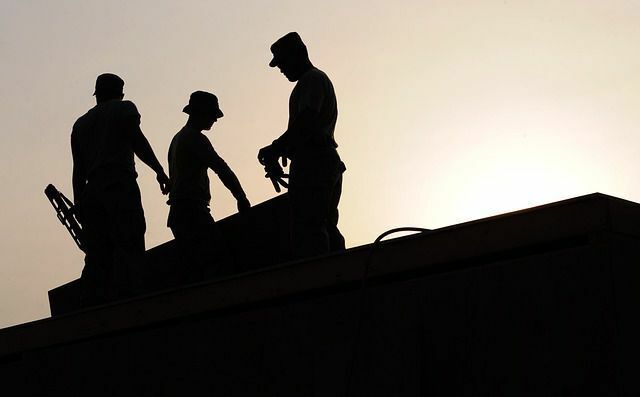 According to the most recent annual Bureau of Labor Statistics data, the lost-workday case rate for the construction industry was 5.7 per l00 full-time workers, by far the highest of any other major economic or commercial sector. Construction site accidents can often become fairly complicated since you are dealing with multipe parties: The construction company, the companies' insurance company, as well as any other employees that may have been involved in the accident in question. If you have been injured in any kind of construction accident, it is imperative that you have a North Carolina Construction Accident Lawyer that knows and understands the laws and regulations governing these kinds of complex situations, as well as what your rights are in any given instance. Brent Adams and his team of associates have represented many North Carolina construction accident victims and will be happy to put their experience to work for you to get you the results and compensation that you legally deserve. All of our personal injury lawyers in Raleigh have handled construction-related accidents. An attorney needs to have a vast knowledge and understanding of the construction industry and the various kinds of accidents that can occur under numerous conditions and circumstances, as well as how current North Carolina workers' compensation laws may tie in to an injury claim. It is often necessary for the injured employee to prove that someone other than his or her direct employer is responsible for any given injury. Knowledge of federal and state laws and regulations governing construction sites is vital when is comes to developing theories against general contractors and other subcontractors, which may often times be your only legal window when it comes to getting compensation for your pain and suffering. It is imperative that the attorney you choose to represent you has the knowledge, expertise, and experience to handle the often immense complexities of these kinds of cases. Most construction sites in the United States are safe and properly maintained; however if you work for one of the few that are not, and have been injured in an accident that was no fault of your own, you have rights that you need to know about. If you have been injured in any kind of construction accident, give us a call today to begin discussing your legal options. The first step in getting you the compensation you desire is ensuring that you have a good attorney, one who is experienced and knowledgeable when it comes to the often complex nature of the many types of construction accidents. Let Brent Adams and his team of injury lawyers work for you. It will cost you nothing to have your case evaluated by one of our attorneys. Once you have all the information you need, you can make the informed decision as to whether or not you wish to continue with your claim.